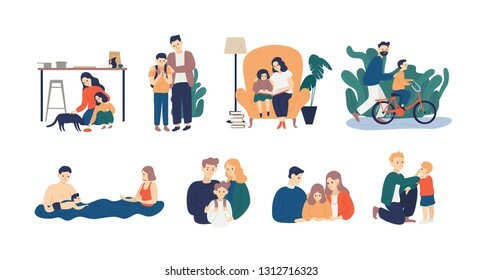 26080 place | Vector illustration in rank M-rank: Bundle of happy loving family scenes. Good parenting and nurturing. Care, trust and support between parents and children. Mother and father educating and teaching their kid. Flat vector illustration.